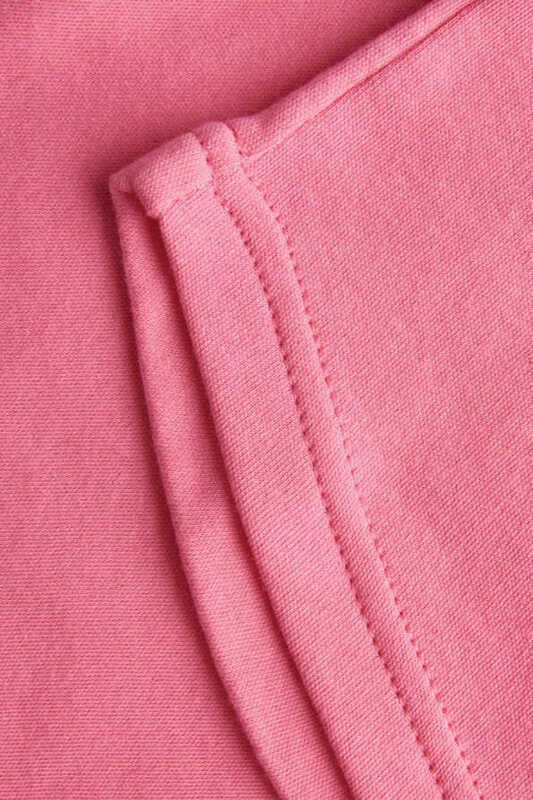 This girls pink t-shirt is made from 100% cotton meaning that it’s lightweight and comfortable nature won’t hinder outdoor play. 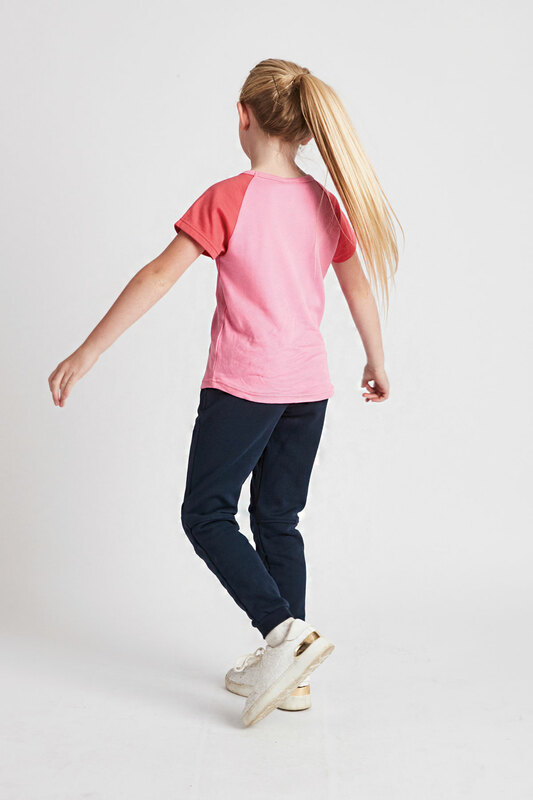 A refreshing alternative to heavily printed or sequined girls t shirts, the simple styling makes it a wonderful wardrobe staple for any little girl. 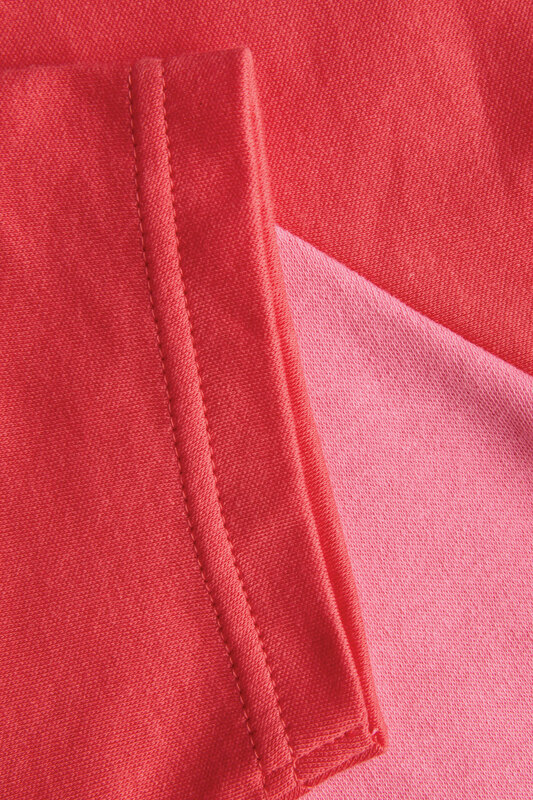 Also available in coral with pink sleeves. 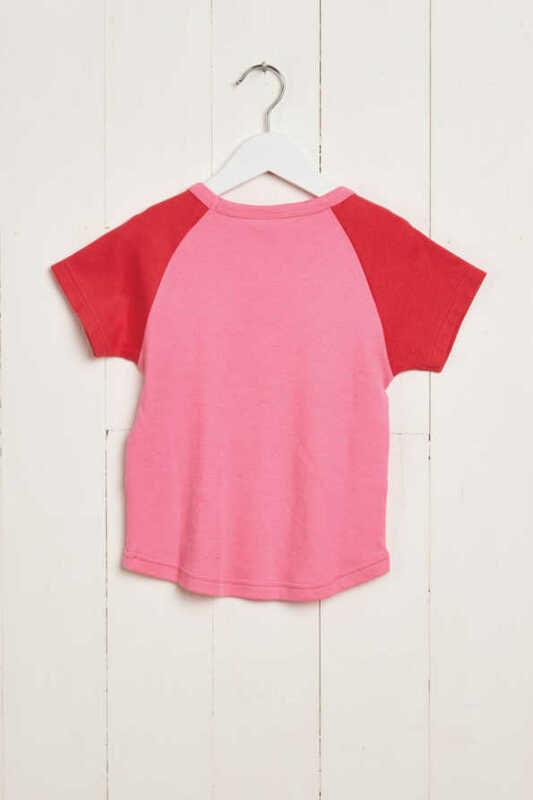 Pink ‘Sun’s Out’ Girly Tee. 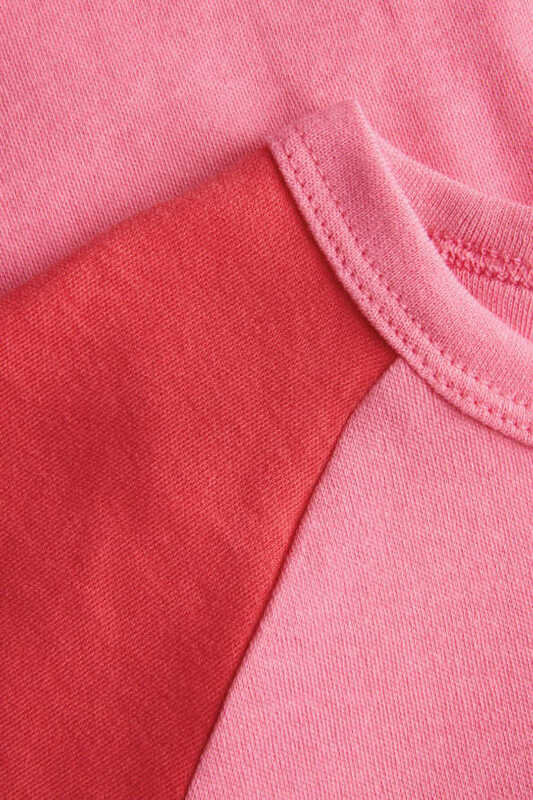 Our girls pink t-shirt is made from 100% cotton. So that means it is lightweight and comfortable nature won’t hinder outdoor play. The coral pink sleeves contrast with the light pink body to make this t-shirt POP! A refreshing alternative to heavily printed or sequined girls t shirts. 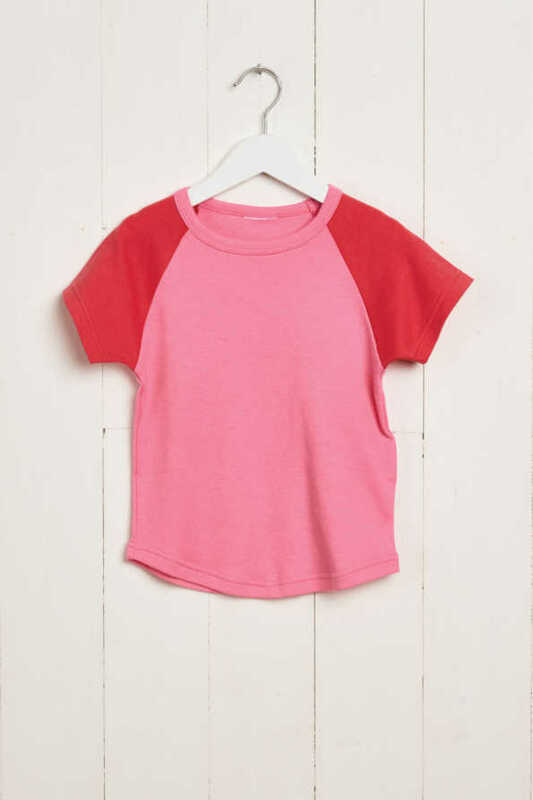 As a result of its simple styling it makes for a wonderful wardrobe staple for any little girl. 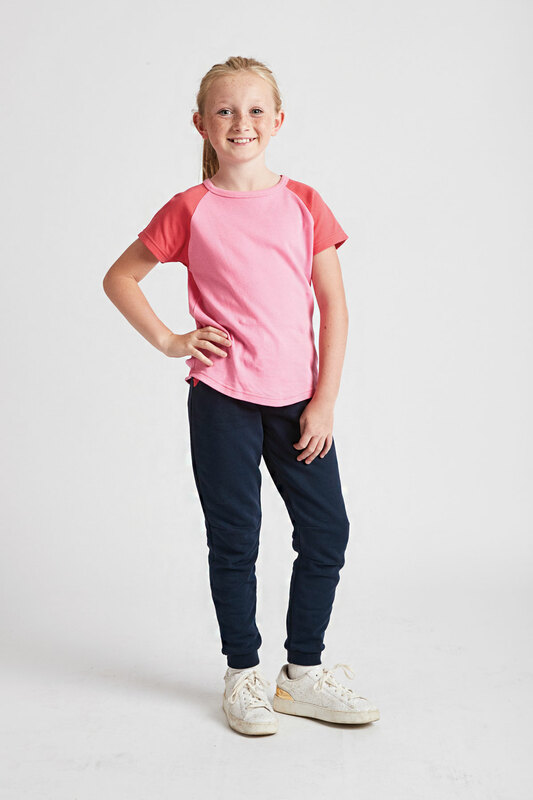 Team with our Navy ‘Jog On’ joggers or ‘Hoods Up’ girls hoody to create the perfect play time outfit. Available in age 2-3 years up to age 12-13 years.